When I heard a Kickstarter promised such outstanding miniatures alongside a board game with euro-style development, RPG-style narrative, and tabletop wargame-style tactical elements at an almost comically high price–backers pledged $150 for the game–I was skeptical. Like many people who didn’t back the project, I assumed the game would be a loose justification to sell the admittedly gorgeous minis. Three years later, after multiple delays and setbacks, I hadn’t given the idea much thought. 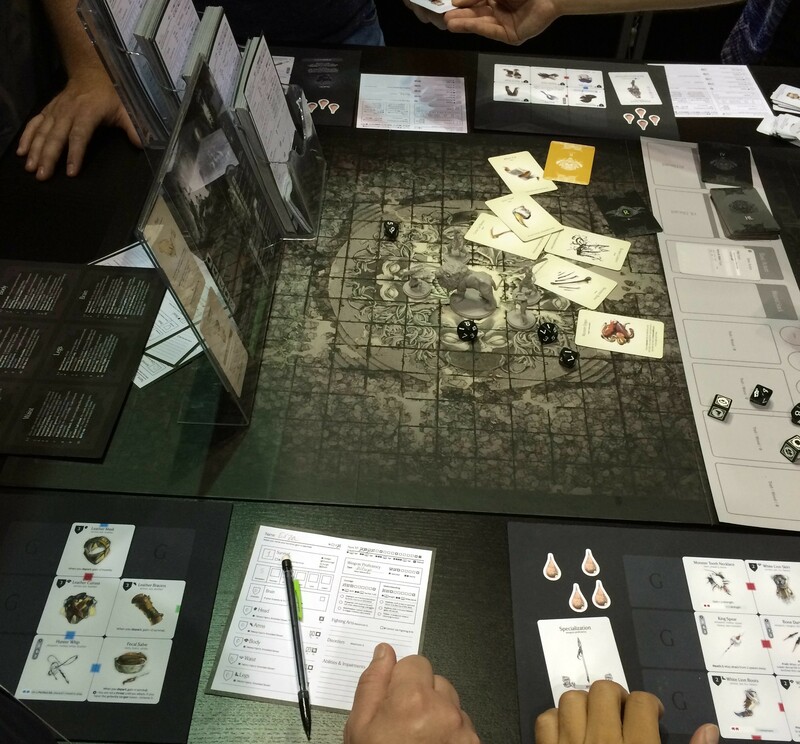 Saturday at GenCon, the guys from Board Game Replay invited me to join them for their demo of Kingdom Death (the full video is here)—now through production, boasting a 17 pound core game box, and sporting a shocking $400 MSRP. I wasn’t any less skeptical, and I couldn’t have been more wrong.